With over 30 years of experience Auto Glass in San Antonio is the best mobile windshield repair and replacement service. Our mobile windshield repair and mobile windshield replacement services saves you time by working around your schedule and needs by sending out our trained and certified repair professionals. Whether a rock chips your window or your windshield glass cracks, Auto Glass in San Antonio will be there to help. How long does it take to repair my windshield? Windshield installations, or replacements, take 30 minutes or less. Repairs like cracks or rock chips only take about 20 minutes. Auto Glass in San Antonio's installations come with a written lifetime guarantee againts wind noise, leaks, loose trim pieces and of course, the quality of the glass. After installations, we make sure there are no glass pieces left in your vehicle. 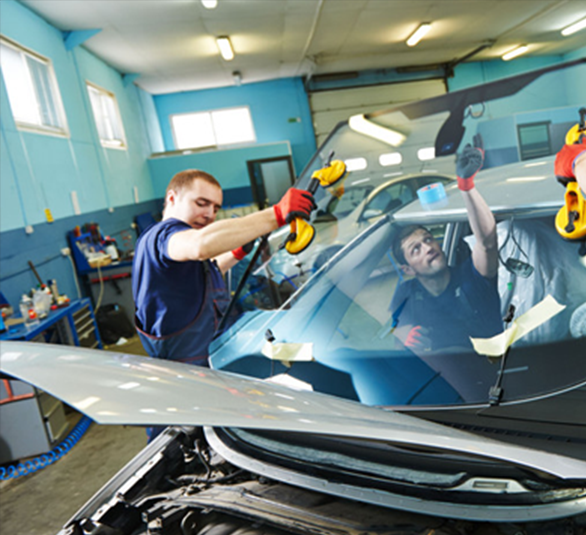 Auto Glass in San Antonio carries all brands and makes of windshields from OEM to top of the line after-market generic brands. Auto Glass In San Antonio has a huge selection of auto glass available consisting of new or used glass and from current models to classics.